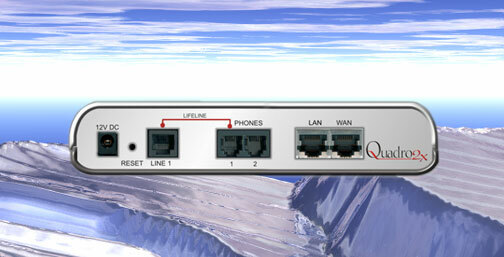 Thirdlane PBX Manager - unlimited extensions [THIRDLANE STE-ULT] : AddVant LLC, IP PBX, IP Phones, WiFi etc. Web GUI for Asterisk IP PBX - unlimited extensions (limited by hardware). Platform independent Webmin module, for managing Asterisk based IP PBX. Can be deployed on Linux, FreeBSD and Solaris. Supports Asterisk 1.2.X and 1.4.X and can be used with Asterisk Business Edition. Includes management for: accounts bulk generation; SIP/IAX/other trunks; outbound/inbound dialing; office hours´ based call handling rules; management of IP phones; mailboxes; multi level Auto Attendant; ACD and call queues; conference rooms; Asterisk CLI; CDRs. Also includes User Portal with call forwarding, call screening and blocking, company directory and personal contacts, click-to-call, CDR and voicemail. Priced based on the number of user extensions. Software-only product that can be downloaded immediately after purchase. Webmin and Asterisk must be installed prior to PBX Manager installation - there are no other prerequisites. Free software upgrades for one year after purchase, extended maintenance and support can be purchased from Thirdlane or its resellers. PBX Manager Asterisk GUI simplifies everyday tasks for both system administrators and end users, through the easy-to-use PBX management tools"and a feature-rich web User Portal that"s easily integrated with CRM solutions and desktop applications. With PBX Manager, companies of any size have access to the features they need, simple or advanced. State-of-the-art features including virtual extensions, branch office support, voicemail-to-email, click-to-call directory, unlimited conferencing, call queues and support for IP and analog phones are all included. There"s also unmatched flexibility in extending the system through PBX Manager"s unique, script-based approach. Advantages of PBX Manager: - Easy to install. PBX Manager can be installed in minutes without requiring any database or web server software. - Ease of operation. No special knowledge of Linux or Asterisk is required for operation, so the management functions can be performed by regular staff. - Higher Performance. PBX Manager uses dialplan only - no AGI scripts. This means calls stay clearer, even under a heavy load. - Extensibility. PBX Manager´s Script Library can be extended by users to include unlimited new PBX features. - Ease of support. Resellers and system integrators can now easily support geographically distributed clients. Components of PBX Manager: - Management screens for system administrators and office staff responsible for day-to-day PBX management. - User Portal for phone users to manage their own extensions.